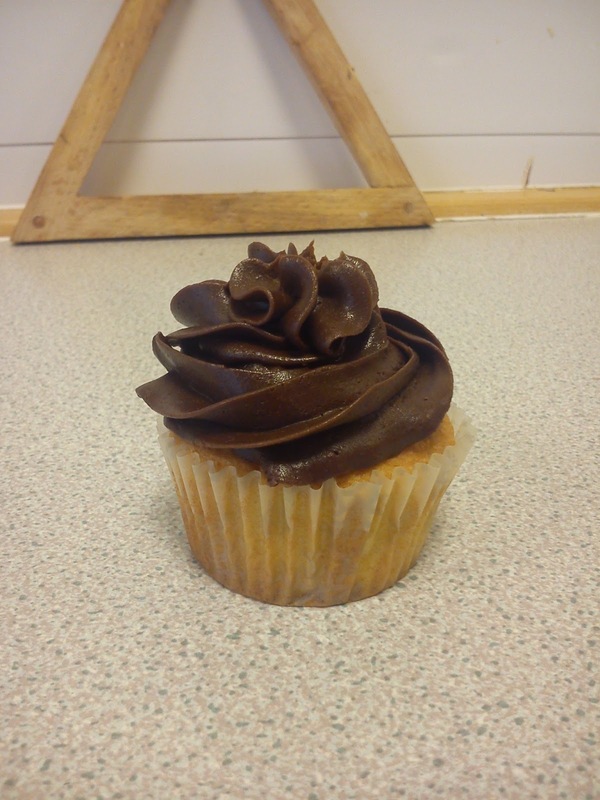 Mickle's Magical Mind: Cup cakes! I am an eager baker, so at the best time I can I will get out my apron, heat my oven and start a concoction of butter, flour, eggs and sugar and see what I can do! My love for baking cakes came from my grandma really... ever since I was a little tot she had me in the kitchen stirring her mixture (to start with I was useless, but she taught me how to stir effective... by getting the spoon & mixture to stay in the bowl haha). It would be every Friday where she got me up on the chair next to the table, leaving me happily to dabble my fingers in the bowl and steal the occasional lick :') Memories like this are what make me smile, being with my dear granny. Anyway! Her favorite to make were small plain cupcakes, I loved making them too, although I was never allowed to deal with the flour as I always managed to drop it in and cause a screen of white powder in the kitchen... tehehe, when I think about it now I can't help but chuckle, although honestly it's not different today in my own home... I warn you all... FLOUR EVERYWHERE. Beating the eggs was also something that I enjoyed, although those too caused issues... I could beat them enough and granny would have to take over for me as my ickle hands couldn't cope! Now I am an excellent whisker if I may say.. My grandma introduced me to baking, like her mother had shown her and on and on for many times before, when I bake, I go by her recipes and her techniques, always remembering carefully how she taught me. I have open heard "that's not how you make cake" and several complaints to the way I do it, and it drives me mad, my brother is my best fan of my cupcakes and he says they are delicious, my parents too love me making them... so when people say "It's not how you make them" then how do they look and taste okay my friends? Hmm... I will always stand by that the best part of baking is getting to lick the bowl, this too leads me to remember making cake with my grandma, and even today, she lets me lick the bowl at the end along with the wooden spoon, she always makes the comment "How you clean that bowl and fit that spoon in your mouth will always amaze me!" I do love her! This week I hope to be cake mad, as I have 3 ducks I have rather a lot of eggs to use, apparently duck eggs are even better to bake cakes with so I have no excuse to sit around not baking! The steps I take are simple, by starting by mixing the butter & sugar, when it all soft and easy to stir I add the beaten eggs to get in some air (as taught by my granny) stirring it all together, making sure there are small bubbles occasionally... then I add the flour. Now this bit always turns messy, I 'gently' pour it all in *EXPLOSION OF WHITE POWDER EVERYWHERE* and slowly mix in with the rest of the mixture. I used to madly mush it all together until I was told that I was getting rid of all the air, which meant the cakes wouldn't rise properly. So now I mix it all in gently until it's a soft looking mixture. Ahhh... I can just imagine it all now, yum! Of course, when you make cakes for yourselves you must sample the mixture to make sure that it tastes tip top! Now to decorating... I have recently become rather keen on making sure that my cakes not only taste nice but look nice to, I can't stand it when they are not the right brown! So now I make icing and for Christmas I got a icing gun especially for cake decorating! This week I will put it to the test I assure you! I am well known for making my cakes and icing an odd colour... I don't stick to the natural... I like a bit of red (well a lot) and blue... mwhaha, sometimes a mixture :) Nothing better than a completely multi-coloured cake my friends! Anyway, I hope to show some pictures and more posts about what I will be getting up to this week whilst I have some free time! I hope you all have a good week a head, whether you are on holiday, half term, or still working hard! Bake some cakes to keep yourselves happy, it's relaxing and rewarding! Thank you for reading, feel free to comment your baking experiences! Yum! Baking is one of those things I really, really...want to, want to do. If that makes any sense. I guess it doesn't help that my studio isn't entirely appropriate for big baking projects.